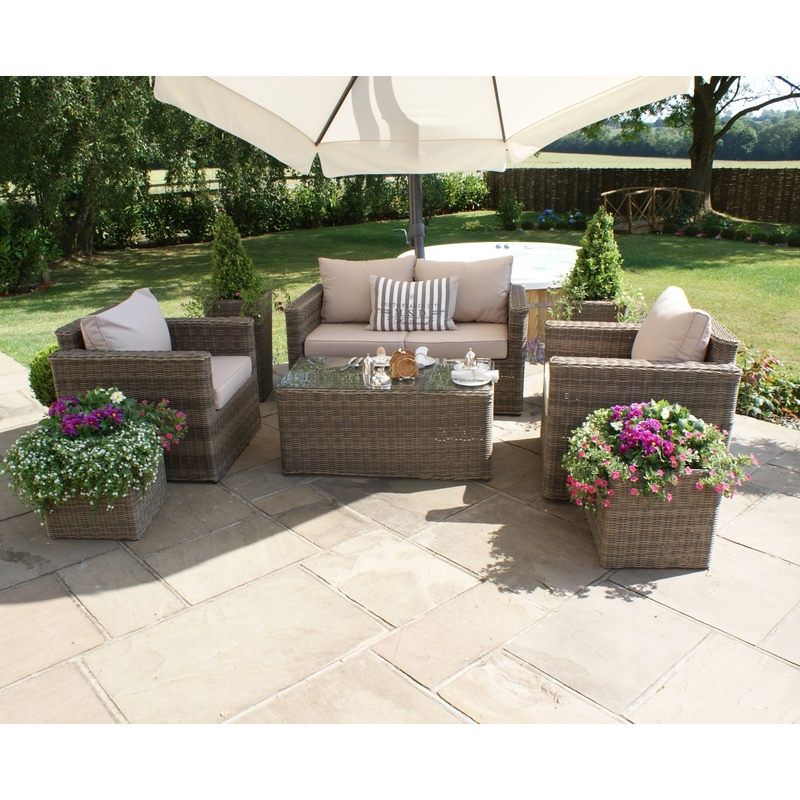 Set Does Not include the garden planters or the parasol shown in the pictures. 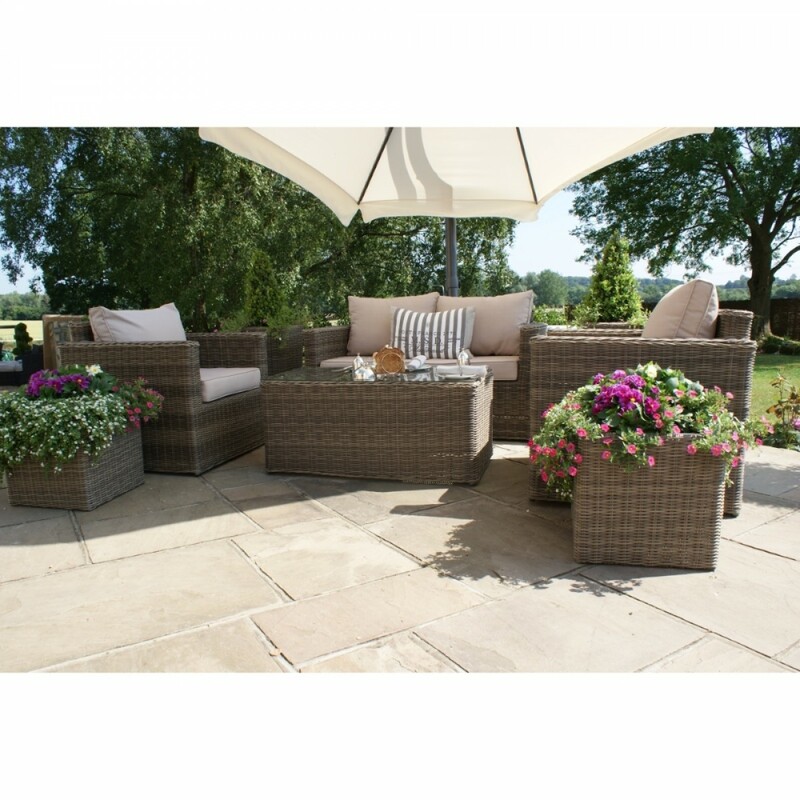 Why Choose the Winchester Square Sofa Set? 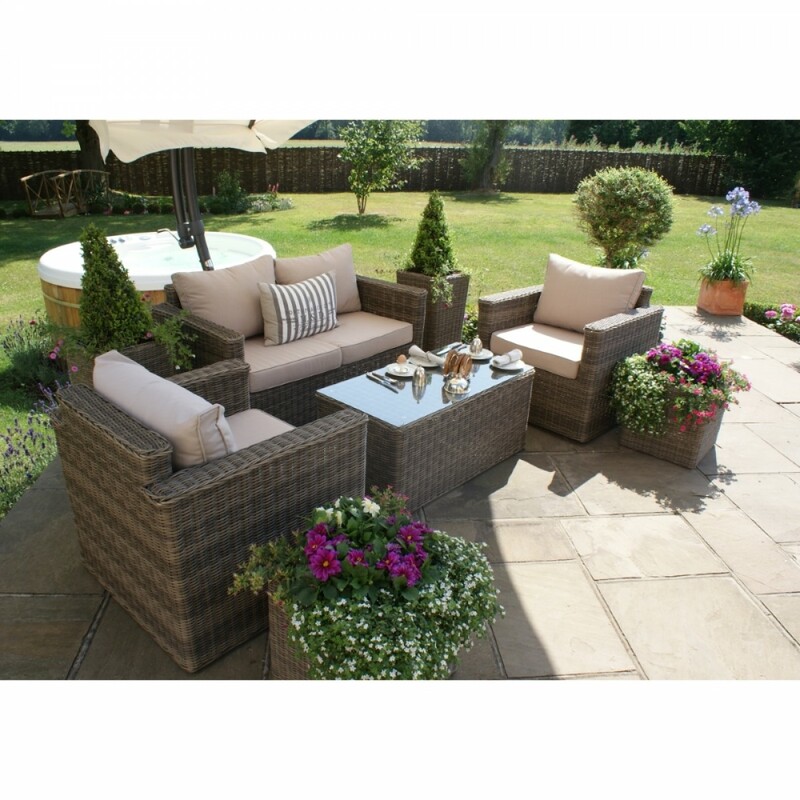 Whether you're having friends and family over or just enjoying the sunshine, the Winchester Square Sofa set will allow you to relax in the utmost comfort this summer. 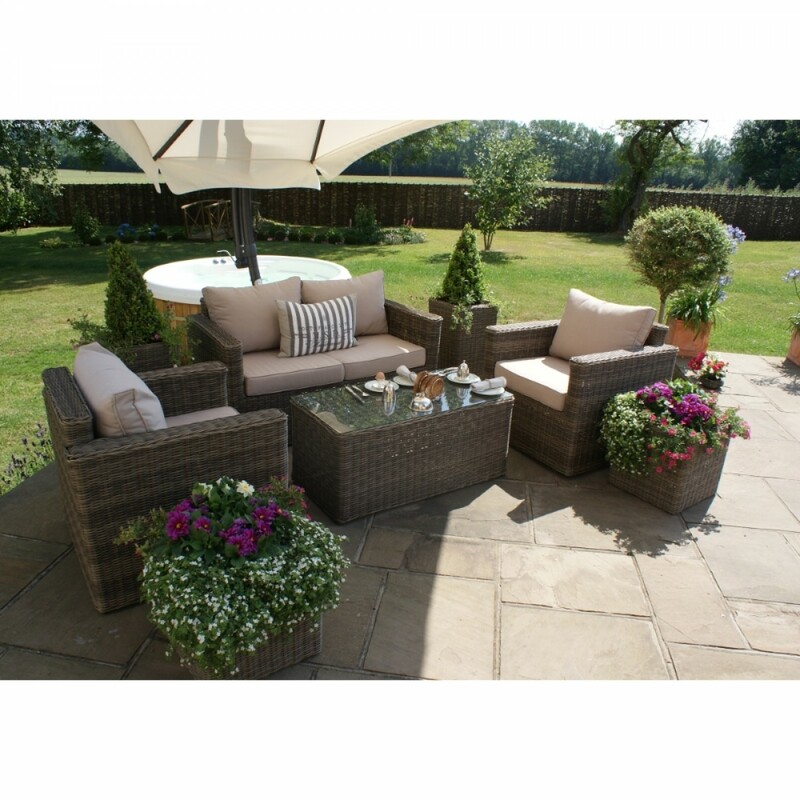 The sleek lines of this spacious sofa set complete with comfortable cushions entices you to sit and relax in your garden. 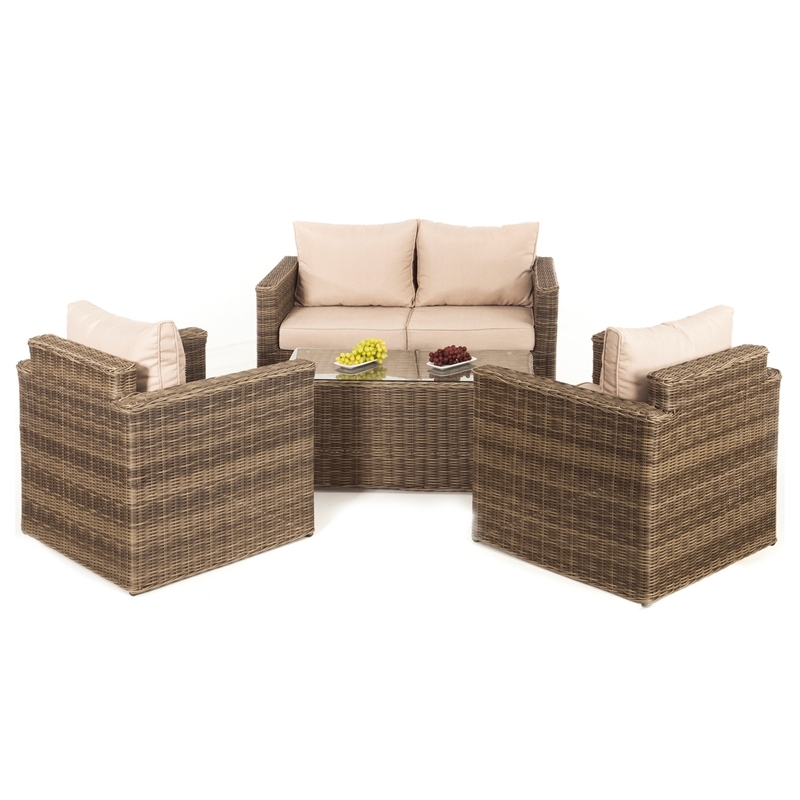 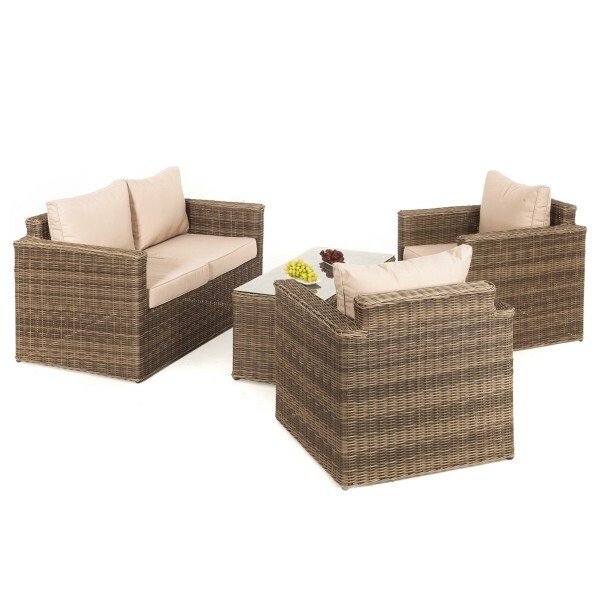 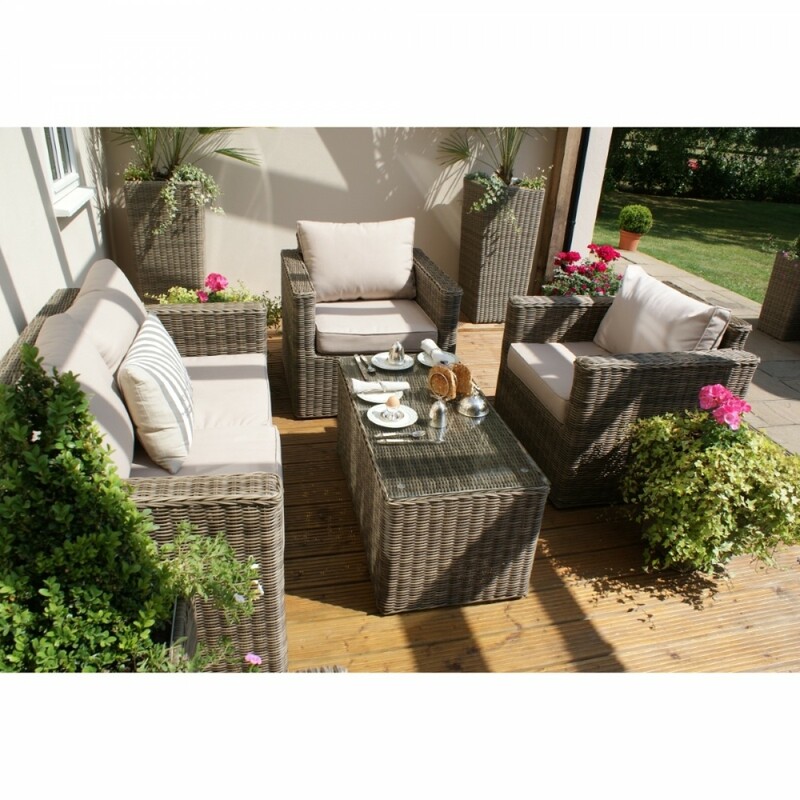 This rattan set is completed by a glass topped coffee table that is large enough to hold drinks and nibbles for all the family. 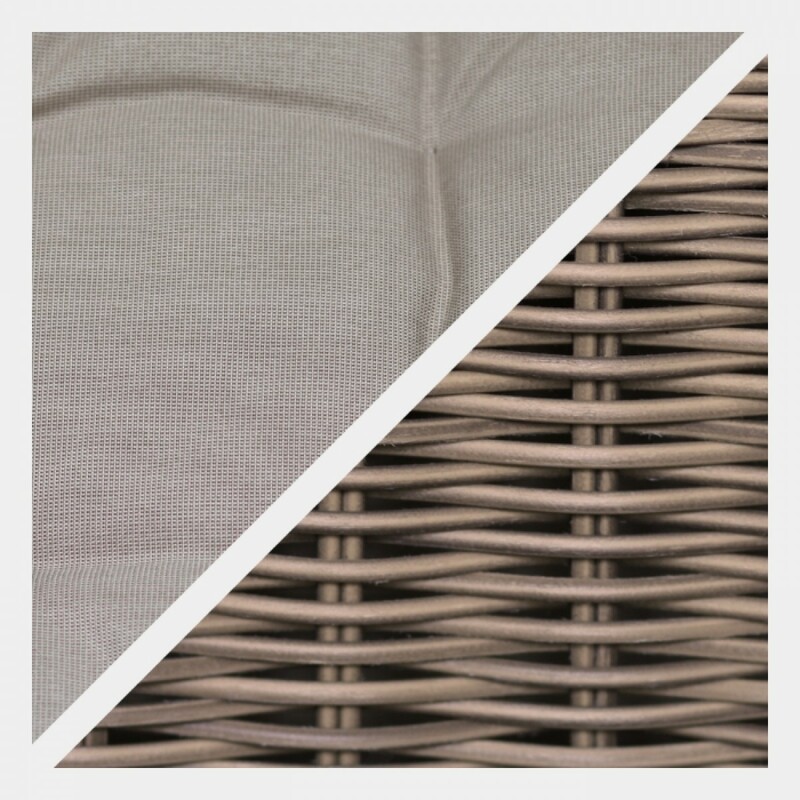 Also, no cover is required for your rattan products – it's beautiful so why hide it away?